As I came to know God’s love for myself, I grew in the great pleasure of loving him and being loved by him. I enjoyed simply being with him so much that I often thought I must be doing something wrong. Almost all of the messages I heard during this season of life were about “do, do, doing.” Whether it was the practice of spiritual disciplines or performing acts of service—or both—the focus always seemed to be on doing more rather than on simply seeking God’s heart. Initially, this conflict of priorities caused me much confusion. Although I sincerely desired to love and serve Jesus with my whole life, I constantly carried a burden that somehow I wasn’t doing enough. Since I was more interested in spending time with him than I was in participating in every possible ministry opportunity, I was sure I must be horribly lazy or selfish—or both. Once again, God revealed a different opinion in the matter. It started nearly fifteen years ago when I left my home church and several ministries that had been a big part of my life to move to a completely new area. I was confident the Lord knew my desire to serve him and I believed he would open the right doors at the right time for new areas of ministry. Well, he did open the right doors at the right time, but let’s just say they weren’t necessarily the doors I’d envisioned! After running into more brick walls than open doors, my perception of “ministry” slowly began to change. As it did, I found contentment in a few quiet and not so visible areas of service. However, just a few short years later he made it quite clear I was to step out of those areas as well. Since the Lord made it so obvious it was time to lay down those things, that’s what I did. During this same period, my times in the “secret place” with Jesus took on a new dimension. With more frequency and intensity than ever before, I was drawn into a deep and intimate place of communion with him. I was often so overwhelmed by his presence that I couldn’t even speak, let alone pray. Over and over again, I was completely lost in love and worship. I was so blessed by these times and so wooed by his Spirit that I didn’t do much to resist. Although I cherished each moment, deep in my heart I was still uneasy. I felt guilty. I thought I was spending way too much time getting “blessed” and not nearly enough time praying for others. Even when I had no other visible ministry, I knew I could pray. Since there were always so many needs to consider, was I wasting my prayer time selfishly pursuing my own fulfillment? The words, “Why this waste?” pierced my heart like a knife. That had been my attitude. I thought my time would have been better spent in what I considered to be more noble service to others. Truthfully, I was being selfish, but not in the way I had thought. It wasn’t the needs of others I wasn’t considering–it was the heart of God I wasn’t considering. I was so focused on how being with him blessed me, that it rarely occurred to me how much it blessed him. I was so anxious to be of “use” to him that I almost missed the highest call of all. In simply loving him, being with him, and responding to his presence in worship, I was serving him–in the very purest sense. There will always be more needs than we can ever hope to meet. We can only meet the needs he calls us to meet, when and how he calls and equips us to meet them. But when we fail to lay hold of those precious moments with him—those moments of loving him and allowing him the joy of lavishing his love on us—we miss his heartbeat. We miss the point. The point is simply this: We were made for love. And only love has the power to transform. 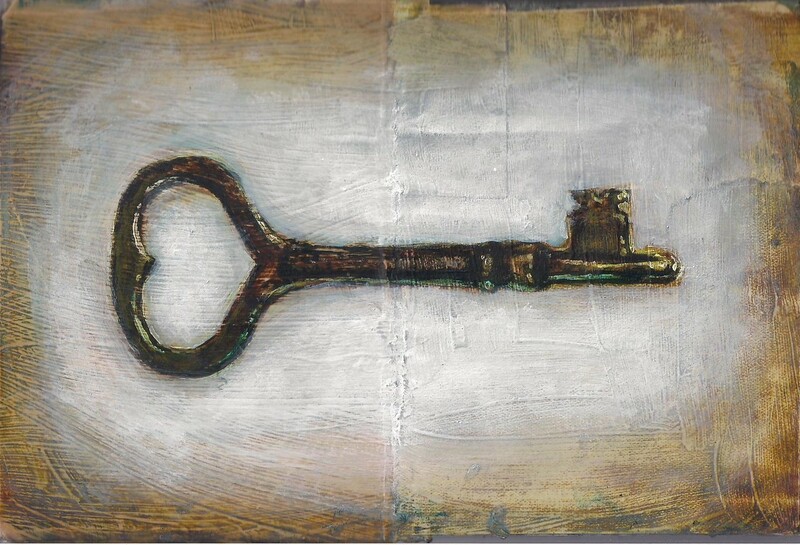 From The Key to His Heart, copyright 2012 by Cindy Powell. All rights reserved. such great thoughts! you’re right, we have to meet the needs God has called us to meet. and it’s so easy to miss the point of the matter. new to your blog, now following. looking forward to future posts! Thanks for stopping by Morgan! Look forward to checking out your blog soon. Blessings!